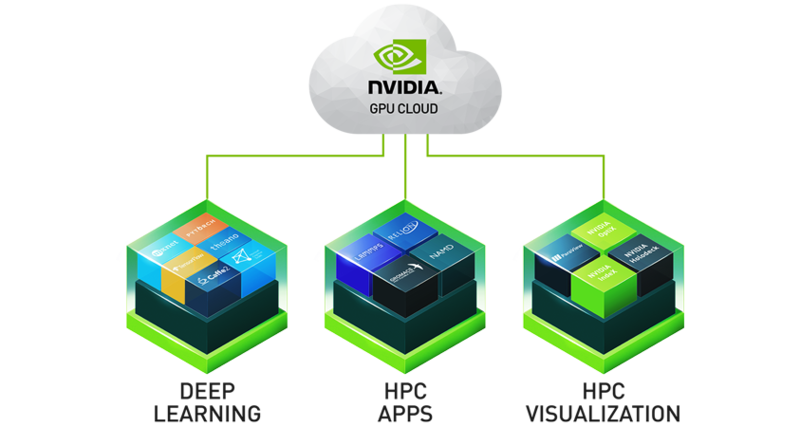 NVIDIA announced the availability of HPC application and visualization containers on NVIDIA GPU Cloud (NGC). Together, these offerings make NGC a single source for researchers seeking access to deep learning frameworks, HPC applications, and visualization tools essential for their scientific workflows. NGC features all the top deep learning frameworks tuned, tested, and certified by NVIDIA for use on Amazon EC2 P3 instances with NVIDIA Volta, and NVIDIA DGX Systems. NGC now offers HPC application containers that drastically improve the ease of application deployment and provide access to the latest features and optimized performance on NVIDIA Pascal and Volta-accelerated systems. NGC also offers HPC visualization containers that provide easy access to the most advanced tools and deliver real-time interactivity for better and faster discoveries, driving user productivity.